This ellipsoid’s prolate form elegantly expresses the Golden Ratio (~ 1.618) while illustrating numerous physics concepts when spun. 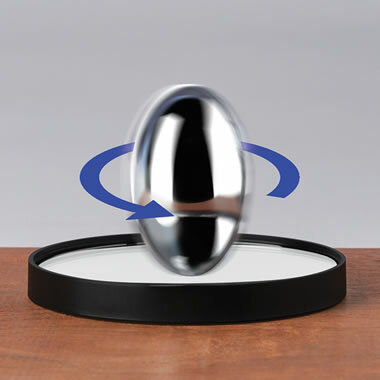 A demonstration of classical mechanics, the ellipsoid is spun horizontally on the included mirrored plate, which provides friction that causes its center of mass to rise until it stands up vertically while continuing to spin. 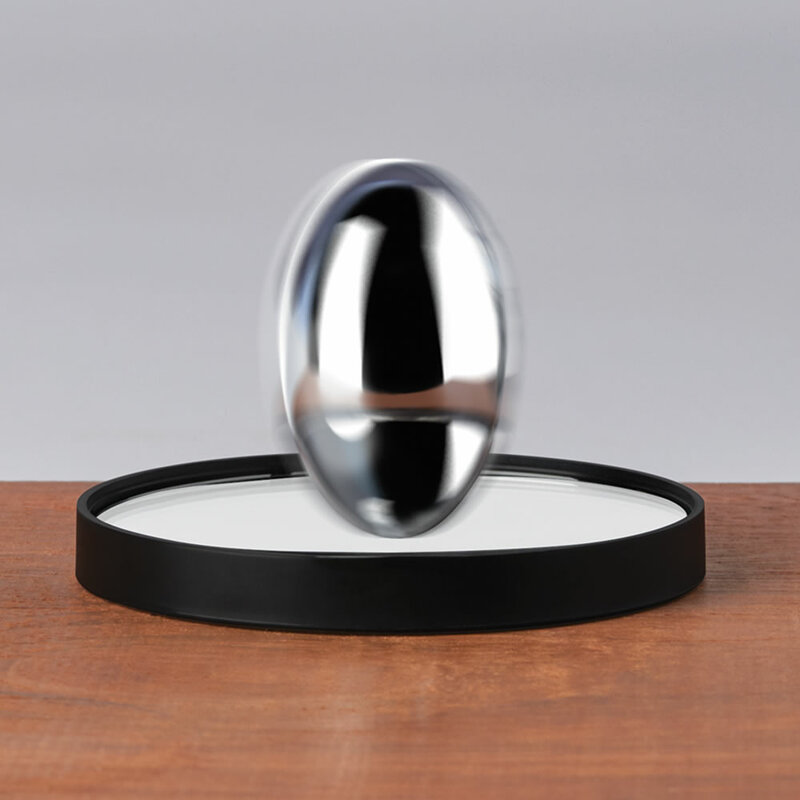 Although made from non-ferrous aluminum, bringing a magnet near it while spinning will slow it down according to Lenz’s law. The ellipsoid generates Lissajous figures when light is reflected off of it as it settles and slows, creating a soothing sound. 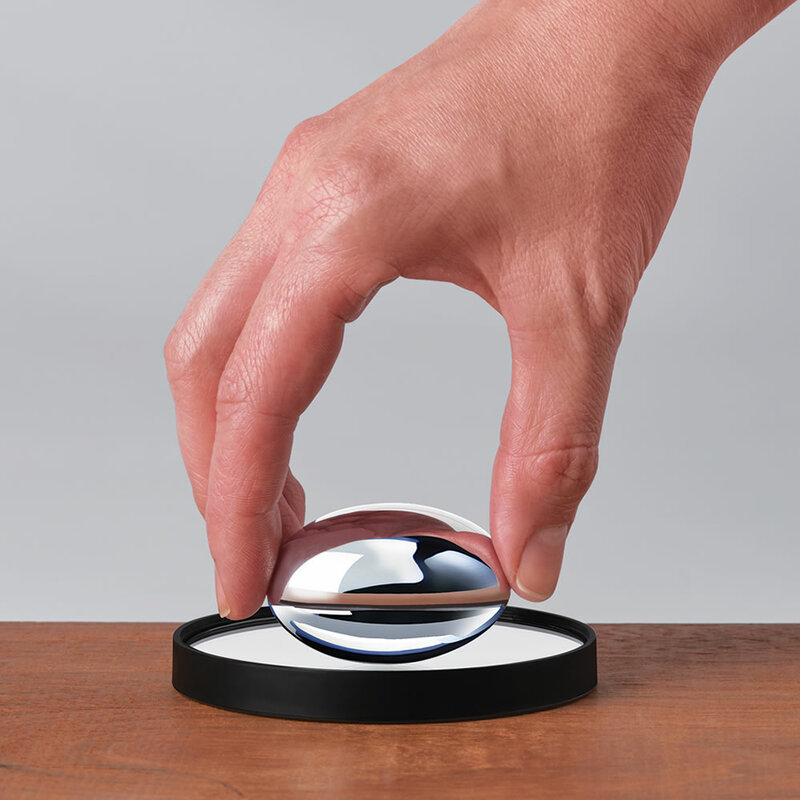 Just before it stops rotating altogether, it appears to distort as if it were a mercury-like substance—otherwise known as the gelatinous ellipsoid effect. The Golden Ratio Spinner comes with The Hammacher Schlemmer Lifetime Guarantee. Items that we sell are guaranteed for their normal life under standard non-commercial use.